Print Design | Promotional Materials & Adverts | W3D Inc.
Brochures, Postcards, Business Cards, Flyers, Menus, and More! World Wide Web Designers is your “one-stop shop” for all of your print design and printing needs. Not sure what to do? Let us do the work! Contact us today for more info on our print design services! We create. We revise. We work with you and your budget to achieve the look and concept you desire. Our print design designers are keen on modern print design techniques and highly knowledgeable about print standards. They adhere to strict print guidelines (bleed area, crop & registration marks) to ensure a perfect product. We guarantee you’ll love our print work! 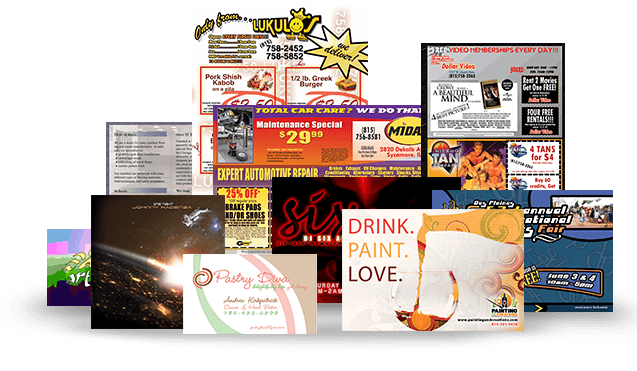 Whether you need fun, professional, modern, or personal graphics, our print design team is happy to help with flyers, business cards, posters, banners, and more. For online promotion, online advertising, Google ad campaigns, and other e-marketing see our SEO department for even more ways to drive traffic to your online business.